Factions are a staple in professional wrestling. 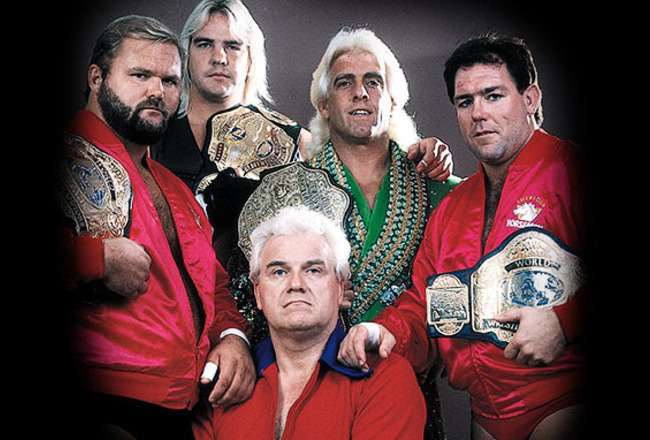 We’ve seen some that changed the industry forever (New World Order) and we’ve seen ones we wished we hadn't (looking at you, League of Nations), but here we will focus on my personal 5 best and most important factions in wrestling history. Let's start with the greatest and work our way down. 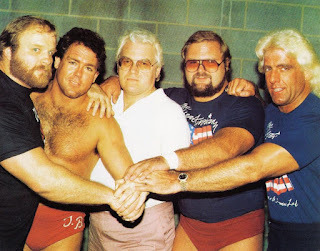 -This is the stable that laid down the groundwork for groups in pro wrestling. Led by the great Ric Flair, this stable terrorized the likes of Dusty Rhodes, The Road Warriors, among others. Their spirt of togetherness and the “you can't sit at our table” mentality made them stand out above the rest. Many acts would attempt to duplicate, but none were ever as good as the original. This is the stable that changed the wrestling industry. Hogan turned his back on all of the fans and kids, gained the big head, and came over to the dark side. What made this stable intriguing is that fans didn't know what they were doing and what was next. 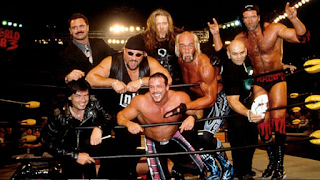 Hogan, Hall, and Nash all worked for “that big organization up north” as they liked to call it, and many assumed WWE was trying to attack WCW. Luckily before kayfabe died, the secret stayed safe until its grand unveiling. 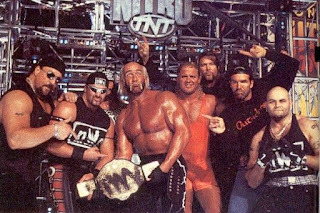 Many incarnations of the NWO came soon after, but the birth of it will always be the best incarnation. 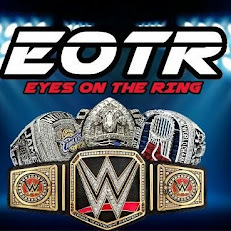 WWE’s answer to the New World Order. WWE was in dire need of a shot in the arm while trying to transition from family programming to edgier television. 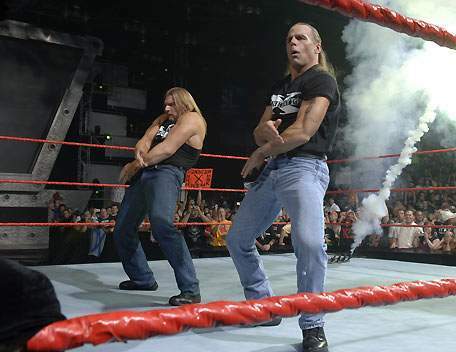 Shawn Michaels and Triple H more than answered the call. After being part of the biggest controversy in wrestling history, more controversy soon followed. When Shawn Michaels was forced to retire, many thought the DX angle would die, but Triple H picked up the ball and ran with it by “officially” adding the New Age Outlaws and bringing in the recently fired X-Pac. 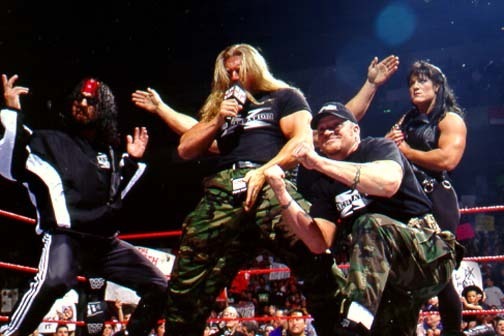 Even in 2006 when DX made their return, WWE benefited from it by it being bigger than it once was in a way. The only group on this list to make all of their members Hall of Fame guys or future Hall Of Fame guys as singles competitors. Evolution was just as their name stated. Flair was the past and arguably the greatest champion ever, the present was Triple H, the Ric Flair of his era and the future was Randy Orton (who'd become a 12 Time World Champ) and Batista (who was almost 40 at the time, but also would become multiple time World Champ in his own right and one of the faces of WWE). Not only we're all these guys talented, they all worked in unison. At one point they held all of the championships on the Raw brand (a cool moment by the way) and created many memories we still enjoy today. 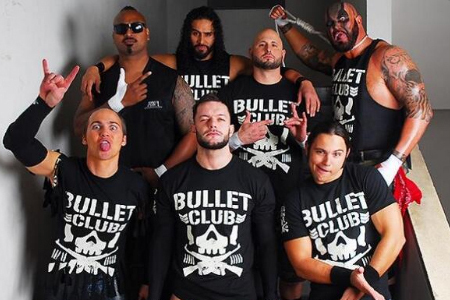 The most popular stable in wrestling today. 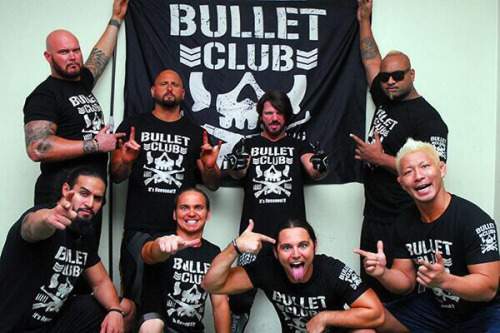 What's great about the Bullet Club is they have expanded into almost every wrestling organization on the planet. 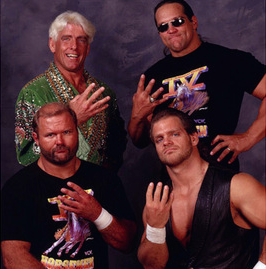 This stable took off so much that WWE took notice and grabbed 4 members. We can't deny the impact that they have on wrestling and the stranglehold they have on the game right now.